How to improve internal hip rotation for golf. Internal hip rotation for golf. Internal hip rotation of the forward hip is a critical movement if you are to achieve both power and accuracy in your swing. The amount of trunk rotation you are able to generate is directly proportional to how far you can rotate your forward hip inwards. In many golfers this motion is limited. Restoring internal hip rotation will immediately lead to increases in trunk rotation to the same side and will contribute to you achieving a more powerful, consistent swing. How to assess your internal hip rotation for golf. Try this simple assessment and treatment procedure to improve your internal hip rotation. The following description is for right handed golfers, use the opposite limb if you are left handed. Lie on your back with your legs straight and your feet in line with your hips. Rotate your left hip in as far as it will go and then bring it back to the centre. Now try the same with your right hip. It’s likely your left hip will be limited if you are a right handed golfer. 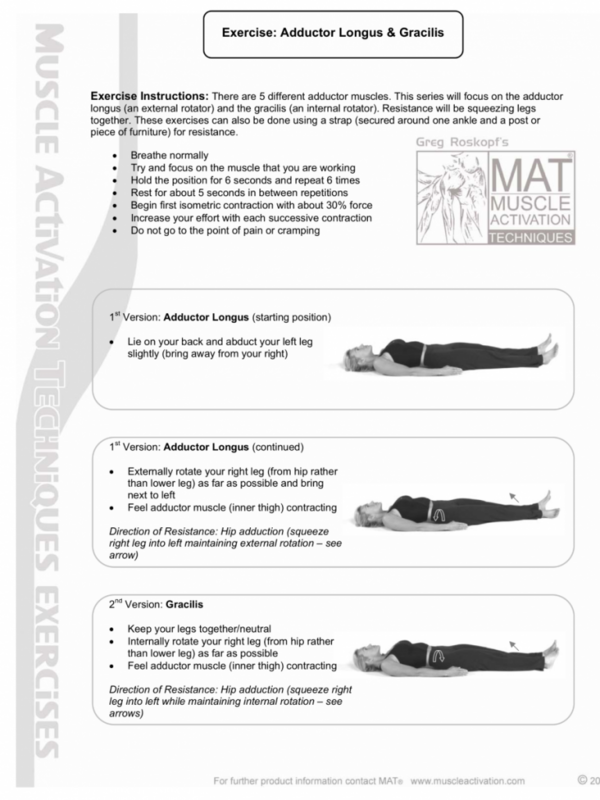 If there is a limitation try the following exercises to improve the motion. 1) Rotate the hip in, lock out the knee and then gently push across towards the other leg. Hold something between your legs so you have a solid object to push against. Use only about 30% of your available strength and hold the effort for 6 secs. Relax for 5 seconds before repeating the process another 5 times. As you push direct your attention to the muscles on the inside of your leg. 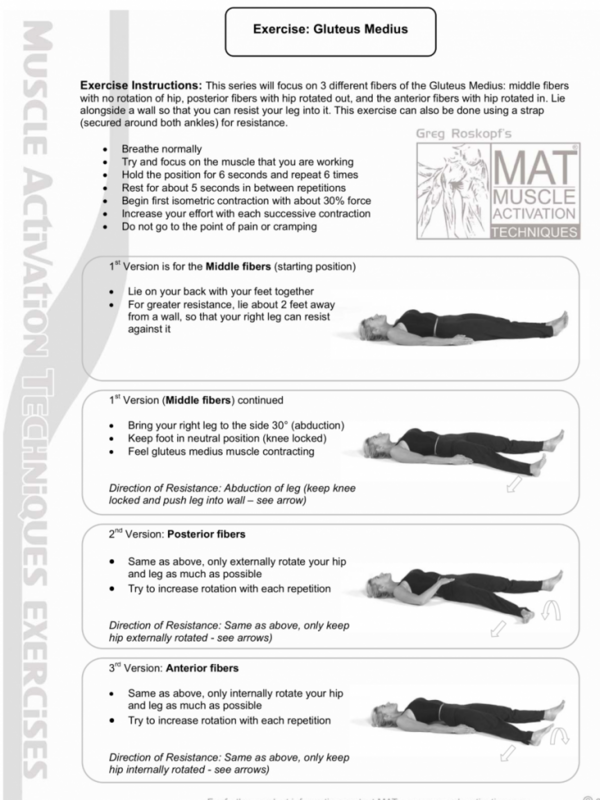 This exercise is illustrated on the bottom of the PDF below. 2) Now rotate the hip in again and lock out the knee but this time smoothly take the leg out to the side as far as it will go whilst maintaining the internal hip rotation. Have something block you there such as a kettlebell or a table leg. Now gently push away from the other leg (out) into the object thinking about muscles on the outside of your hip contracting. Again only use 30% of your available strength for 6 x 6 seconds with a 5 second test between each push. This exercise is again illustrated on the bottom of the PDF below. Now check your hip rotation. You should see an immediate improvement. By improving the ability of muscles to contract through these low intensity isometrics, you will see increases in range of motion which will transfer directly to your swing. Want to improve your trunk rotation? This post will show you how.